İş Sağlığı ve Güvenliğinde karşılaşılabilecek tüm tehlike ve risklerin sistematik ve verimli biçimde yönetilmesi, sürecin sürekli iyileştirme yaklaşımı çerçevesinde çözümlenmesi İş Sağlığı ve Güvenliği Yönetim Sistemleri (İSG-YS) vasıtasıyla olur. Endüstriyel kuruluşlarda muhtemel kazaların insanlara ve çevreye olan zararlarının en aza indirilmesi amacıyla, yüksek seviyede, etkili ve sürekli korumanın sağlanması gerekmektedir. Bu bağlamda, kurumların Risk Değerlendirme Metotlarını kullanarak, mümkün olan en yüksek seviyede ki doğrulukla karar vermesi beklenmektedir. İSG-YS’nde, risk değerlendirme metotlarından olan nicel yöntemle tehlikeler için üretilen senaryolarda kazaların muhtemel sonucunun meydana gelme sıklıkları düşürülmeye çalışılmaktadır. Bu çalışmada, Yapay Sinir Ağları (YSA) yaklaşımı, Nicel (Kantitatif) Risk Değerlendirmesi olarak İSG-YS’ne destek olacak şekilde tasarlanmıştır. İSG tehlikelerinin bulunduğu kurumlardaki kazaların vuku bulma olasılıkları YSA ile ele alınarak yorumlanması için farklı modeller geliştirilmiştir. Geliştirilen modellerin performansları belirleme katsayısı (R2) ve Karesel Hataların Karekökü (Root Mean Square Error) ölçütleri içinde değerlendirilmiştir. Yapay Sinir Ağları ile geliştirilen model ile, giriş ve istenilen çıkış değerlerinin tekrar tekrar ağa uygulanmasıyla eğitimi gerçekleştirilerek, hataların minimize edilmesiyle olası kazaların sıklığını öngören öğrenmeler gerçekleştirilmiştir. Bu şekilde, yeni girişlerin kazandığı deneyime göre olası iş kazalarının aylara göre frekansları tahmin edilerek, üst yönetime güvenilir karar desteği sağlanmıştır. In the study, different models were developed for interpreting the probabilities of occupational accidents in institutions where severe OSH hazards are present, by taking into account the ANN. The coefficients of the performance determinants (R2) and the Root Mean Square Error of the developed models were evaluated. Models developed with Artificial Neural Networks, training of input and wanted output values by repeatedly applying to the network, learning realized by predicting possible accidents by minimizing faults. In this way, the frequencies of the probable occupational accidents according to the months of the new entries are estimated according to the experiment, and the top management provides reliable decision support. Effective and continuous protection must be provided at a high level in industrial establishments in order to minimize the loss of possible accidents to people and the environment. In this context, institutions are expected to use the “Quantitative Risk Assessment Methodologies” to make decisions with the highest possible accuracy. In the OSH Management Systems, quantitative risk assessments are attempted to reduce the frequencies of possible consequences of the accidents that are scenarios for the hazards. The Artificial Neural Networks (ANN) approach is designed to support the OSH Management System as a Quantitative Risk Assessment. All hazards and risks that may be encountered in Occupational Safety and Health are systematically and efficiently managed, and the process is solved through Occupational Safety and Health Management Systems (OSHMS) within the framework of the continuous improvement approach. 1. BS 8800, Guide to Occupational Health and Sefety Management Systems, British Standards, 1996. 2. OHS 18000, Occupational Health and Safety Management Systems, Guidelenes for the Implementation of OHSAS 18001, Assesment Series, 2000. 3. E. N., Dizdar, “Tehlike Değerlendirme Teknikleri”, Yüksek Lisans Tezi, Gazi Üniversitesi, Fen Bilimleri Enstitüsü, Ankara, 2002. 4. ISO 9001, Quality Management Systems – Requirements, ISO, 2000. 5. ISO 9000, Quality Management Systems - Fundamentals and Vocabulary, ISO, 2005. 6. P., Goosen, Management System in OHS, Analysis and Comparison of OHS Management System Norms. ISAG, Ankara, 2005. 7. SS, Kudryavtsev, PV, Yemelin, NK, Yemelina, “The Development of a Risk Management System in the Field of Industrial Safety in the Republic of Kazakhstan”, Safety And Health At Work, vol. 9, no: 1, pp. 30-41, 2018. 8. Y., Sui, R., Ding, HQ, Wang, “An integrated management system for occupational health and safety and environment in an operating nuclear power plant in East China and its management information system”, Journal Of Cleaner Productıon, Vol. 183, pp. 261-271, 2018. 9. E. N., Dizdar, İş Güvenliği, Murathan Yayınevi, (4. Baskı), Trabzon, 2008. 10. LS., Robson, JA., Larke, KL., Cullen, Q, Mahood, “The effectiveness of occupational health and safety management system interventions: A systematic review”, Safety Science, Vol. 25, no: 3, pp. 329-353, 2007. 11. Hollnagel E., “Safety-I and safety-II: The Past And Future Of Safety Management”, Cognition Technology and Work, Vol. 17, no: 3, pp. 461-464, 2014. 12. OHSAS 18002, Occupational Health and Safety Management Systems - Guidelines for the implementation of OHSAS 18001, 2000. 13. ILO, Guidelines on Occupational Safety and Health Management Systems. Geneva: International Labour Office, 2001. 14. E. N., Dizdar, Kaza Sebeplendirme Yaklaşımları, Mesleki Sağlık ve Güvenlik, 2001. 15. OHS-MS, International Labour Organization, Guidelines on Occupational Health and Safety Management Systems, 2001. 16. F., Goerlandt, N., Khakzad, G., Reniers, “Special Issue: Risk Analysis Validation and Trust in Risk management”, Safety Science, vol. 99, pp.123-131, 2017. 17. SP., Levine, DT., Dyjack., “Critical features of an auditable Management System for an ISO 9000-compatible occupational health and Safety standard”, American Industrial Hygiene Association Journal, Vol. 58, no: 4, pp. 291-298, 1997. 18. E. N., Dizdar, Üretim Sistemlerinde Olası İş Kazaları İçin Bir Erken Uyarı Modeli, Doktora Tezi, Gazi Üniversitesi Fen Bilimleri Enstitüsü Endüstri Mühendisliği, Ankara, 1998. 19. MP., Cottam, Certification of occupational health and Safety Management systems, Foresıght And Precautıon, Conference on Foresight and Precaution, 455-461, (2000). 20. Dizdar, E. N.,. Risk Değerlendirme ve Yönetim Sistemi, İş Sağlığı ve Güvenliği Yönetim Sistemleri, Murathan Yayınları, Trabzon, 2014. 21. Frick K, W. J., 2000. Reviewing Occupational Health and Safety Management, Multiple Roots. Amsterdam: Elsevier. 22. Dizdar, E. N., Ünal, Ç., Kurumsal Yapının Değerlendirilmesi, İSGGM Çalıştayı, Antalya, (2010). 24. ISO 19011, 2005. Guidelines For Quality And Environmental Management Systems Auditing, ISO, 2002. 25. F.E., Ciarapica, G.. Giacchetta, “Classification and Prediction of Occupational Injury Risk Using Soft Computing Techniques: An Italian Study”, Safety Science, Vol. 47, pp. 36–49, 2009. 26. J., Khorsandi, T., Aven, “Incorporating assumption deviation risk in quantitative risk assessments: A semi-quantitative approach”, Reliability Engineering & System Safety, Vol. 163, pp. 22-32, 2017. 27. DE.,. Nordgård, “A Framework For Risk-Informed Decision Support in Electricity Distribution Companies Utilizing Input From Quantitative Risk Assessment”, International Journal of Electrical Power & Energy Systems, Vol. 43, no: 1, pp. 255-264, 2012. 28. K., Kazaras, K., Kirytopoulos, “Challenges for current quantitative risk assessment (QRA) models to describe explicitly the road tunnel safety level”, Journal of Risk Research, Vol. 17, no:8, pp.953-963, 2014. 29. Z., Zeng, E., Zio, “A classification-based framework for trustworthiness assessment of quantitative risk analysis”, Safety Science, Vol. 99, pp. 215-226, 2017.30. GE., Apostolakis, “How Useful Is Quantitative Risk Assessment?”, Risk Analysis Journal, Vol. 24, No:3, pp. 515-520, 2004. 31. ZQ, Liu, H. W., Huang, Y. D., Xue, “The Application of Quantitative Risk Assessment in Talus Slope Risk Analysis”, Georisk: A ssessment and Management of Risk for Engineered Systems and Geohazards, Vol. 3, no: 3, pp.155-168, 2009. 32. F., Goerlandt, N., Khakzad, G., Reniers, “Validity and validation of safety-related quantitative risk analysis: A review”, Safety Science, Vol. 99, pp.127-138, 2017. 33. HJ., Pasman, WR., Rogers, MS., Mannan, “Risk assessment: What is it worth? Shall we just do away with it, or can it do a better job?”, Safety Science, Vol. 99, pp.140, 2017. 35. T., Aven, “Supplementing Quantitative Risk Assessments With A Stage Addressing The Risk Understanding Of The Decision Maker”, Reliability Engineering & System Safety, Vol. 152, pp. 51, 2016. 36. S., Choe, F., Leite, “Assessing Safety Risk among Different Construction Trades: Quantitative Approach”, Journal of Construction Engineering and Management, Vol. 143, pp. 5-12, 2017. 37. FW, Guldenmund, “Misunderstanding Safety Culture and Its Relationship to Safety Management”, Risk Analysis, Vol. 30, no. 10. First Publ, 2010. 38. Y., Sui, R., Ding, HQ, Wang, “An integrated management system for occupational health and safety and environment in an operating nuclear power plant in East China and its management information system”, Journal Of Cleaner Productıon, Vol. 183, pp. 261-271, 2018. 39. KF., Walter, Workers Participation and the Management of Occupational Health and Safety; Reinforcing or Conflicting Strategies, Pergamon , 2000. 40. Özkılıç, Ö., “İş Sağlığı, Güvenliği ve Çevresel Etki Risk Değerlendirmesi”, TİSK Yayınları, Yayın No:540, 2007. 41. V., Seber,. “İşçi Sağlığı Ve Güvenliğinde Risk Analizleri Nasıl Yapılır”, TMMOB Elektrik Mühendisliği, Vol. 445, pp.30-34, 2013. 42. D., Ramos, A., Costa, P., Afonso, Integratıon of Risk Management in Occupational Health and Safety Systems, Proceedıngs of The 2nd Internatıonal Conference On Project Evaluatıon, ICOPEV International Conference on Project Economic Evaluation, 237-246, (2014). 43. L., Mussone, A., Ferrarı, M., Oneta, “An Analysis Of Urban Collisions Using An Artificial Intelligence Model”, Accident Analysis Prevent, Vol. 31 , no: 6, pp. 705–718, 1999. 44. S., Sohn, S., Lee, “Data Fusion, Ensemble And Clustering to Improve The Classification Accuracy For The Severity Of Road Traffic Accident İn Korea”, Safety Science, Vol. 41, no: 1, pp.1–14, 2003. 45. M., Abdel-Aty, A. Pande, “Identifying Crash Propensity Using Traffic Speed Conditions”, J. Safety Res. Vol. 36, no: 1, pp. 97–108, 2005. 46. L.Y., Chang, “Analysis Of Freeway Accident Frequencies: Negative Binomial Regression Versus Artificial Neural Network”, Safety Science, Vol. 43, pp.541–557, 2005. 47. F.H., Bayata, F., Hattatoğlu, “Yapay Sinir Ağları ve Çok Değişkenli İstatislik Yönetemlerle Trafik Kaza Modellenmesi”, Fen Bilimleri Enstitüsü Dergisi, Vol. 3, no: 2, pp. 207-219, 2010. 48. A.P., Akgüngör, E., Doğan, “Estimating Road Accidents of Turkey Based on Regression Analysis and Artificial Neural Network Approach”, Advances in Transportation Studies an international Journal, Section A, Vol. 16, pp. 11-22, 2008. 49. A.P., Akgüngör, E., Doğan, “Farklı Yöntemler Kullanılarak Geliştirilen Trafik Kaza Tahmin Modelleri ve Analiz”, Int. J. Eng. Research&Development, Vol. 2, no. 1, pp. :16-20, 2010. 50. VD., Tsoukalas, N.G., Fragıadakıs, “Prediction of Occupational Risk in The Ship building Industry Using Multivariable Linear Regressionand Genetic Algorithm Analysis”, Safety Science, Vol. 83, pp.12–22, 2016. 51. VD., Tsoukalas, N.G., Fragıadakıs, “An Adaptive Neuro-Fuzzy İnference System (Anfis) Model For Assessing Occupational Risk in Ship Building İndustry”, Safety Science, Vol. 63, pp.226–235, 2014. 52. SB., Murugan, ML., Sundar, “Investigate safety and quality performance at construction site using artificial neural network”, Journal of Intellingent & Fuzzy Systems, Vol. 33, no.4, pp. 2211-2222, 2017. 53. DL., Mario, “A comparison between prediction power of artificial neural networks and multivariate analysis in road safety management”, Transport, Vol. 32, no. 4, pp.379,385, 2017. 54. AM, Abubakar, H., Karadal, SW., Bayighomog, E., Merdan,. “Workplace Injuries, Safety Climate and Behaviors: Application of Artificial Neural Network”, Int. Journal Safety and Ergonomics, Jose, Vol.19, pp. 1-32, 2018. 55. Öztemel, E., Yapay Sinir Ağları, Papatya Bilim Yayınevi, 7. Sayı, İstanbul, 2006. 56. Ç., Elmas, Yapay Zeka Uygulamaları, Seçkin Yayınevi, Ankara, 2007. 57. D. Karayel, “Predictionand Control of Surface Roughness in CNC Lathe Using Artifical Neural Network, Journal of Materials Processing Technology” , Vol. 209, pp.3125–3137, 2009. 58. S., Stauba, E., Karamand, S., Kayaa, H., Karapönara, E., Güven, “Artificial Neural Network and Agility”, Procedia - Social and Behavioral Sciences, Vol. 95, pp. 1477-1485, 2015. 59. Ş., Karabulut, “Vermiküller Grafitli Dökme Demirin Frezelemedeki İşlenebilirliğinin Deneysel Olarak Araştırılması ve Yapay Sinir Ağlarıyla Modellenmesi”, Doktora Tezi, Gazi Üniversitesi Makine Eğitimi Bölümü, 195 s, Ankara, 2012. 60. AM., Makin, C., Wilder, “A new conceptual framework to improve the application of occupational health and Safety Management Systems”, Safety Science, Vol. 46, no. 6, pp. 935-948, 2008. 61. YL, Li., FW., Guldenmund, “Safety Management System: A broad overview of the literatüre”, Safety Science, Vol. 103, pp. 94-123, 2018. 62. DG., Ramos, C., Costa, “Occupational Health and Safety Management System: A case study in a waste company”, Occupatıonal Safety And Hygıene IV, pp. 597-601, 2016. 63. 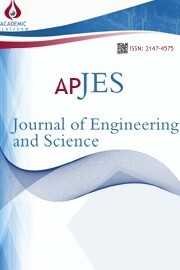 A., Pereira, S.,Ahn, S., Han, S., Abourizk, “Identification and Association of High-Priority Safety Management System Factors and Accident Precursors for Proactive Safety Assessment and Control”, Journal Of Management In Engineering, vol. 34, no. 1, pp.104-112. 2018.